Super Eagles defender Bryan Idowu has joined Russian Premier League champions Lokomotiv Moscow from Amkar Perm. Idowu who can play at right-back, left-back and central defence signed with the Railwaymen on a three-year deal which is expected to last until the 2020-2021 season. 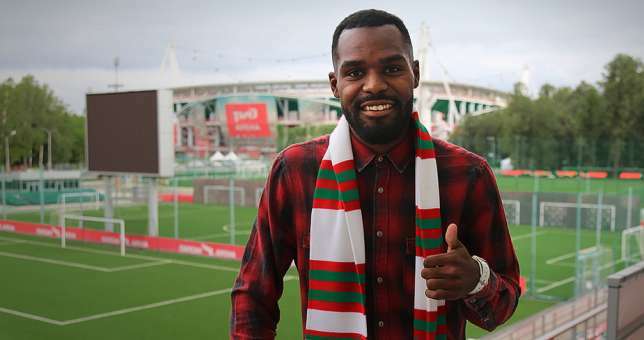 Idowu says he’s delighted to join Lokomotiv Moscow, adding that he watched the team play in the Champions League. The 26-year-old who was part of the Super Eagles team that crashed out at the group stage of the 2018 FIFA World Cup stated that he is delighted to have completed the move to Lokomotiv in a statement on the club’s official website. He said, ”I am very glad to switch to Lokomotiv. I’m really looking forward to joining the team at the training camp. ”In childhood, I watched the matches of Loco in the Champions League – against Real and Inter. The whole country was proud of the team! The Nigeria international was born in Saint Petersburg, Russia but will be registered as a foreign player as Lokomotiv aim to defend their title in the new season as well as participate in the UEFA Champions League.